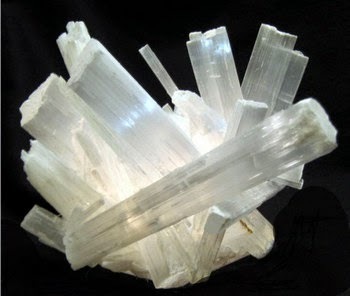 Selenite is a crystallized form of gypsum. The name Selenite comes from the Greek word for moon and means “moon glow," and these Selenite Wands do glow with a shimmery, pearl-like luster. The grain of the Selenite gives a lustrous shine that goes down the length of the wand to create a beautiful visual effect. Selenite is the perfect stone to increase the pace of spiritual growth. Selenite has a very strong vibration which assist in healing at an energetic level, as it resonates with the higher frequencies, along with the higher chakras. Working with higher frequencies makes it effective in opening the Crown Chakra, Soul Star Chakra and those above. With a connection to the divine light it can bring those energies down and anchor them into the physical body. Use Selenite in a grid around your home or in the corners of a room to create a safe and peaceful space. 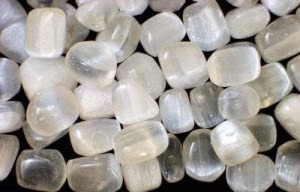 Selenite also removes energy blocks from physical and etheric bodies. This will assist in increasing one’s spiritual transformation. However, it is a stone of positive energy. Therefore, it will gently enhance one’s transformation of spirituality and health in a positive direction. Connects one with the divine mind and enhances communication with the angelic realm. 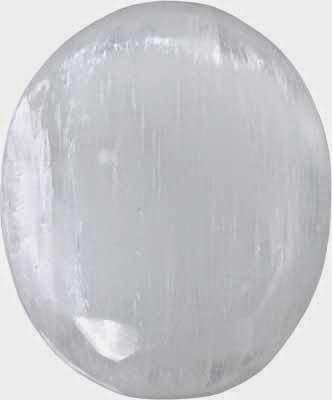 Selenite clears the aura of negative energies and motions, both physically and etherically, to deliver clarity of mind. It has the ability to help one whom suffers from childhood abuse to recover by allowing the remembrance of their soul’s intent and purpose. Healing of these blockages will enhance communication with divine mind, along with strengthening the connection to the angelic realm. Selenite allows access to the transpersonal chakras (eight chakra all the way up to the fourteenth chakra) which grants the capacity to take one directly into the higher realms. Aids access into other dimensions to recover and activate psychic abilities from past lives. Place on the Third-Eye, or Heart Chakra, to feel its energy flow into the Crown Chakra. Once it removes any stagnant energy, blockages or distortions within the Crown the energy of Selenite will then move into the higher chakras to trigger the flow of energy from the Stellar Gateway Chakra directly into the Soul Star Chakra. This is why Selenite is known as, The Lightbody Stone, as it anchors the lightbody into the physical body. Selenite bridges the conscious mind to the super-conscious mind. Tip for using: Hold Selenite above the head during meditation to cleanse, clear and balance all the chakras.